Wonderful family home in the bedroom community of Morinville, only 10 minutes north of St.Albert. 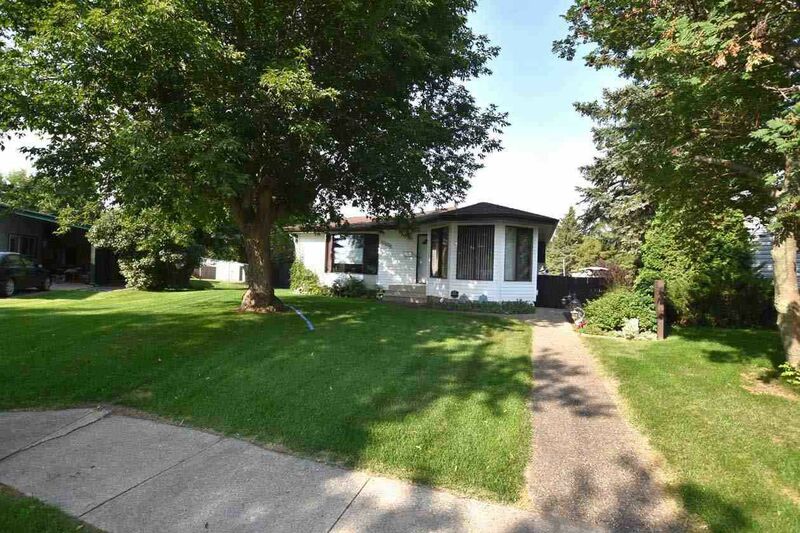 Three plus one bedroom bungalow on a huge .39 acre lot. Upgrades include large oak kitchen with ample cabinets that reach to the ceiling and actual hardwood floors, main floor windows during that same renovation. New shingles in 2010 on house and on oversized detached double garage, eves 2015. Bathrooms have also been upgraded and overall the home has obvious pride of ownership. HOW ABOUT THAT YARD!? It's a rural sized property with urban conveniences. Room for RV parking, family picnics, gardening and more. Back ally access increases the convenience of the property and it's cul-de-sac location means very little traffic going by. Basement has large rec/family room, large laundry room, three piece bathroom, 4th bedroom, storage room and cold room for all that fresh fruits and veg from your very own garden. Note built in vacuum attachments on each floor.